Newly built home by and for award winning, green architects. The house is just 8 years old. The interior is spacious, open, and sunny with beautiful wood and plaster finishes all around. The living room has a thick, felted wool rug and comfortable, mid century furniture. The kitchen is well appointed as we cook a lot ourselves. The dining table, a slab of California walnut, seats 6 comfortably and 8 in a pinch. The bedrooms are upstairs with a king and a double bed. A bed can be made on the living room floor. Our daughter's room has a big wool rug and can also easily fit an extra bed on the floor. The house has a very large sunny yard filled with natives, herbs, vegetables and fruit (for your eating! ), outdoor dining, and hammock for relaxing. The exterior features car parts and tree bark siding--truly a head turner for people new to the area. 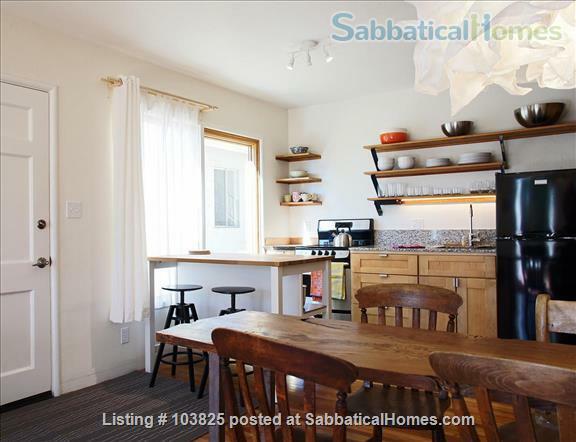 It is located in a quiet, friendly, residential neighborhood, easy walking distance to downtown Berkeley with loads of amazing restaurants, theatre, live music, BART, a Tuesday and Saturday farmer's market, and more. We have two bicycles you can borrow as well, that will take you all over town. As we are centrally located and we have a great network of bicycle boulevards, from here you can easily get anywhere in town on the bikes: North Berkeley's Gourmet Ghetto, the 4th Street shopping district, the university, and, for a work out, you can bike up into the hills for a walk in our regional parks. Street parking is also fairly easy with unrestricted spaces on the opposite side of the street. 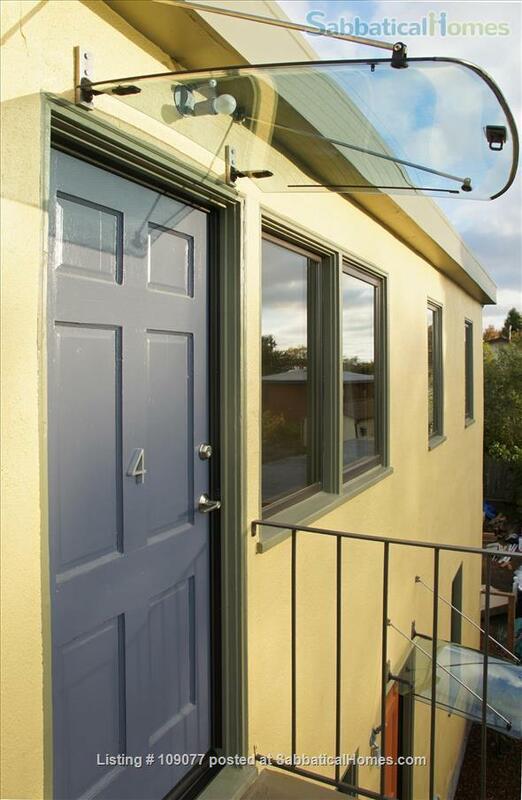 You can see more about the house and us talking about it on a You Tube video by Fair Companies titled: "Upscale Bay Area home made from salvaged car roofs & windows". After graduating from UC Berkeley's M. Architecture program several years ago, my husband and I stuck around and opened an architecture practice with a focus on green architecture. We love remodeling buildings and designing news ones. Our passion is to incorporate sustainable design into all of our projects.